Clarke County contains the city of Athens, GA where the University of Georgia is located. Dr. Lanoue received his PhD. from Mercer University. Philip D. Lanoue, the superintendent of Clarke County School District in Georgia, is the 2015 American Association of School Administrators National Superintendent of the Year. Other districts in both Georgia and around the country would be wise to take a look how he was able close the achievement between economically disadvantaged and non-disadvantaged students more than any other district in the state. The Macon-Bibb county school district would especially benefit from many of these very practical and tested suggestions as opposed to more ephemeral and expensive “quick fixes” that have no impact as proven by the failed tenure of former superintendent Romain Dallemand who wasted around $52 million on smoke and mirrors. UGA Professors and hundreds of UGA students help teachers with planning, teaching, and assessments, mentoring students, takes students on field trips to colleges, and other assistance. Life skills program to help impoverished kids learn about healthy food choices, cooking, sewing a button, reading and understanding contracts, applying for loans, etc..teaching them contemporary and necessary life skills they may not learn at home to foster independence and success in college or later years in life. Those are just a few of his initiatives. Several months ago Superintendent Lanoue filled in as a substitute teacher to reward teachers who had perfect attendance with a free day off which rewarded 52 teachers in total. In addition to recognizing some very dedicated teachers his stint on the front lines as a classroom teacher left him both exhausted and with a much better understanding of the challenges teachers face. I think all superintendents should teach incognito as a sub at least once a month so they understand exactly what teachers face in the classroom. I left Hilsman Middle School that day with a lot more than tired, achy feet from being in a teacher’s shoes. I left seeing firsthand that our students can truly receive no better education than in the Clarke County School District because of the tireless work of our teachers. The design of the lessons, the relationships that are built, the digital learning, the International Baccalaureate framework, the opportunities available through our partnerships — I am truly humbled. I am humbled to work with an incredible community of individuals who are committed to the wellbeing of our students. When you hear the word “Innovation” Used in Education it’s anything but.. 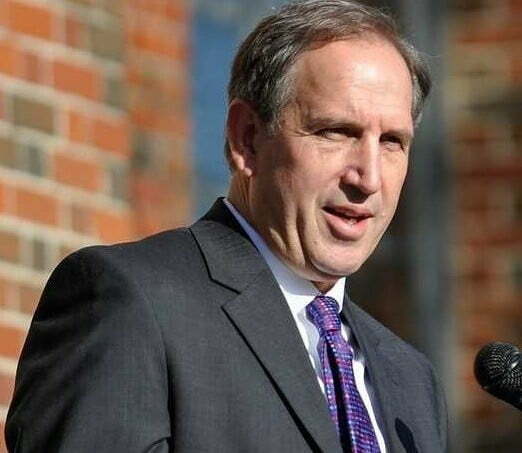 The Washington Post wrote a brilliant article about Dr. Lanoue and his progress at Clarke County over the last six years and also delved into some of the larger national educational reform ideas. I highly recommend you read this article: How one impoverished public school district is making strides Inside the article there were several points made that I felt were absolutely essential to anyone interested in bettering our schools. The word “Innovative” is bandied about all the time but it has lost all meaning. It no longer means that something new solves problems, it is simply an empty buzzword used for marketing new and often inefficacious schemes that require spending lots of money on outside consultants that set up a week-end workshop and charge $100,000 or more for the privilege. Labeling something “innovative” or “disruptive” (or both) doesn’t necessarily translate into good policy. Once you strip away the marketing and promotional froth, much of what is branded as “innovative” is often the same old inefficacy. “Value-added” teacher evaluation systems, the re-segregation (through “choice”) of our schools, “teacher quality programs,” state takeover “districts” for the lowest __% of schools (which are invariably the poorest schools in terms of demographics) and other flavor-of-the-month, standardized-test-based prescriptions are often just a cover for the constant over-testing of our children to produce data and metrics, and more all the time. In another recent and equally insightful piece, the Washington Post also looked at how how standardized testing are making a lot of companies like Pearson Publishing billions of dollars but destroying our schools. Study says standardized testing is overwhelming nation’s public schools. The article points out that a typical American student takes 112 mandated standardized test between pre-K and 12th grade and by contrast all those countries that top all the lists on international metrics average around three by comparison. An average American 8th grader spends about 25.3 hours a year taking these standardized tests which means all that time was lost on learning something of value. Federal policies like Race to the Top and No Child Left Behind have made the problem far worse. Meanwhile billionaires including people like like Bill Gates who pushed for all these tests send their own kids to private schools where there is little to no standardized testing done at all. If frequent testing is such a fabulous idea, why don’t any of these wealthy education reformers send their kids to schools in an environment where all these reforms have been implemented? Why don’t all these private schools implement the ideas they push on public schools if they are such great ideas? If we truly want to improve our schools we need to start letting teachers have a seat at the table when we discuss any reforms. The former Education Secretary/Czar Arne Duncan never taught a day in a classroom in his life and yet radically shifted educational policy. The first and most obvious step would be to do away with nearly all these standardized tests that accomplish absolutely nothing, cost districts billions, and take valuable teaching time away from students. I am not personally opposed to charter schools, but we must put them on a level playing field with public high schools. There are a few charter school success stories, but also a lot of horror stories as well. From padded cells to extremely authoritarian discipline that would make even a drill Sergent think they are going a bit overboard. Charter schools take public funds but then have very little scrutiny over how that money is spent. The truth about Charter Schools : The D.C.-based firm Options Public Charter School managed to orchestrate a train wreck of corruption, including not only the Medicaid fraud scheme, but also payoffs of public officials and a local television news personality, diversion of funds meant for schools to personal accounts, business arrangements that siphoned funds to contractor partners, and bloated executive salaries. My point is that although charter schools may offer a glimmer of hope to some weary parents desperate to get their kids a good education, they are no panacea. Research has shown that these schools are failing to serve students with the greatest needs and introduces new kinds of corruption into education, all while producing similar or worse educational outcomes than public schools on average. The evidence is mounting that placing education in the hands of unelected privately run organizations is a disaster for students, teachers, and communities. Superintendent Lanoue in Clarke County, Georgia has shown us that with the right amount of grit and vision you can not only make public schools functional, you can make them exceptional. By reducing standardized testing, reducing the incredibly time-consuming paperwork that all these state and federally mandated programs push on teachers, by giving teachers and students the tools they need, and just letting teachers do their jobs again without all the micromanagement we could very easily begin to vastly improve our schools. There is no magic bullet that will cure public schools. We have a history of half-hearted measures implemented after a misdiagnosis of the problem. Then the inevitable blame-shifting and the search for the next magic bullet to load into the chamber occurs after it fails. Rinse, wash, and repeat and you understand why our schools are in such a mess. Magic bullets always misfire because they don’t exist. But instead of changing our thinking we continue to foolishly look for the next fad touted by the latest snake-oil salesman who promises he has all the answers. At the end of the day it all boils down to students, parents, and the classroom teacher at the local level. Individual responsibility and accountability at the local level are the essential ingredients for any child to succeed. No standardized test, federal grant or policy, nor proposal from billionaires can help a child succeed unless they themselves have some desire to learn. Even in Clarke County Georgia there are likely thousands that slip through the cracks, but at least Superintendent Lanoue shows that it is possible to do a lot better than we have done in the past. Well yes; but there were so many years of policies exacerbating and driving down excellence. Many parents , particularly those with “kids in the middle” and increasingly the top end of learners, pulled their kids from this system and accelerated the rise in impoverished population. I hope the positive trend continues. Public school is “where the twain meet” and a society gives us the chance to learn to get along and work together at a young age. As a music teacher in the Clarke County School District, I see the results of Dr. Lanoue’s work every day. While other school districts reduced or eliminated fine arts programs, Dr. Lanoue increased support for our music programs. He believes in the importance of developing the whole child and makes certain that we have the resources we need. We are very fortunate. Thanks for sharing that Melanie. I agree how important programs like art, music, and so many other activities are including daily P.E. and even recess. All these “reforms” have eliminated many of these. Thanks Tandi. Glad you liked it.